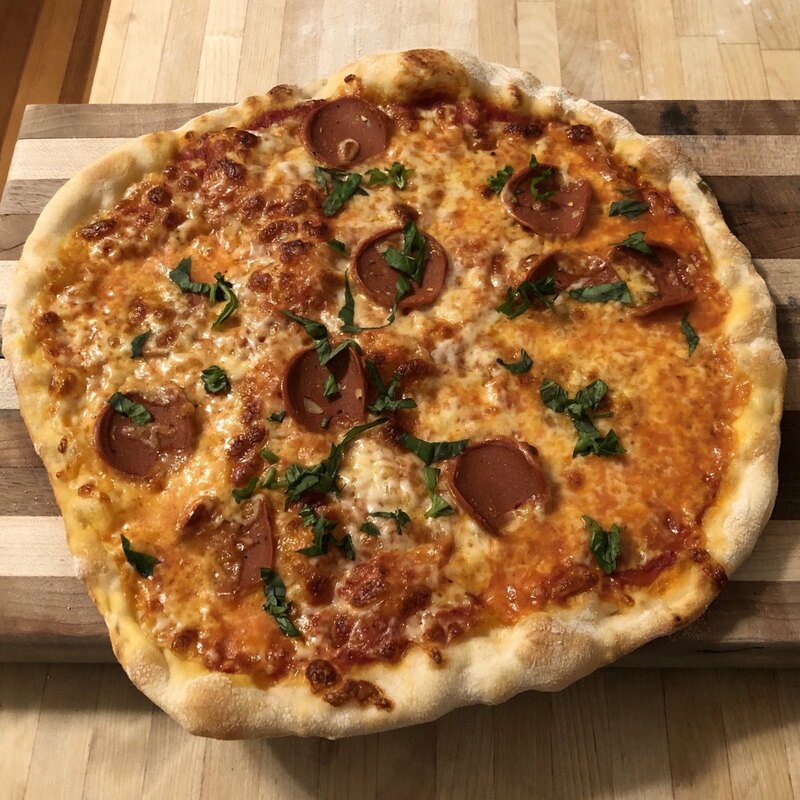 Mixing it up tonight with pepperoni and basil. Vegetarian pepperoni. Vegetarian basil.